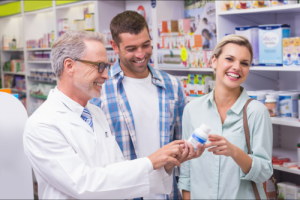 At Cocoa Beach Discount Pharmacy, we are highly dedicated to providing our customers with fast, friendly, and efficient customer service. Regardless of what assistance you need – whether you need a prescription refill, if you have any questions about your current prescription, or if you want to check a product’s availability, our friendly pharmacists are here for you. If you have any inquiries about our many services, call us now at 321-799-2030.